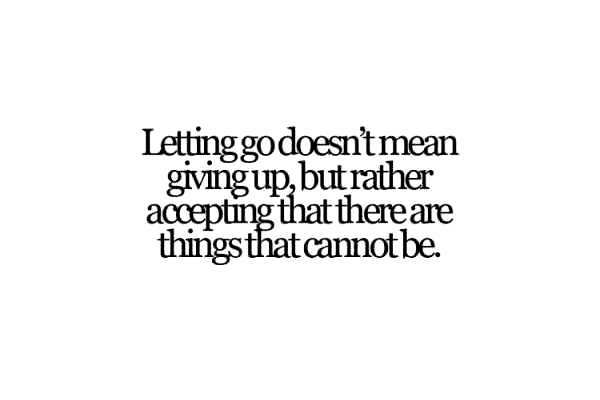 Motivated Moving On Quotes : Once you learn to move on after a failure or deception, life becomes rather simple. Instead of getting into the troubles and hyper tensions, it sometimes proves to be the best option. If you get deceived once, don’t commit another mistake by trusting the same person again. He/she does not deserve another chance because for testing the truthfulness of a person, one incident, a single moment is enough. If one cannot be loyal and trustworthy what else is left behind. Move on and make him feel the guilt for the rest of his life. He/she doesn’t even deserve your hatred and curses, just send him to hell and relax; move on. 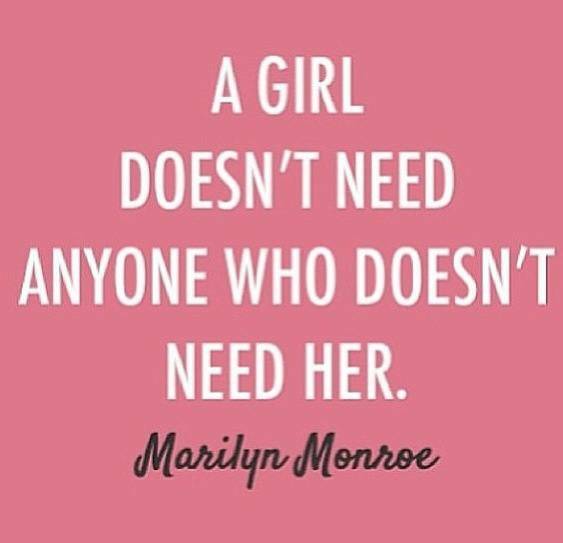 Don’t waste your energy and time thinking about him. When you decide to move on make sure you don’t keep any soft corner for the person in your heart otherwise it will be difficult for you to start a new life. If after lots and lots of tries you fail to keep holding on in a relationship, it would be a good decision to give up and move on instead of living in hell. That is what most of us believe and those who don’t, suffer a lot not only for once but all their life. Don’t choose the path of sufferings and heart pain, go get a life. I hope the quotes I have included in my today’s post will help you in moving on. Give your feedback and view about this topic in comments at the end. Have a blissful life !! 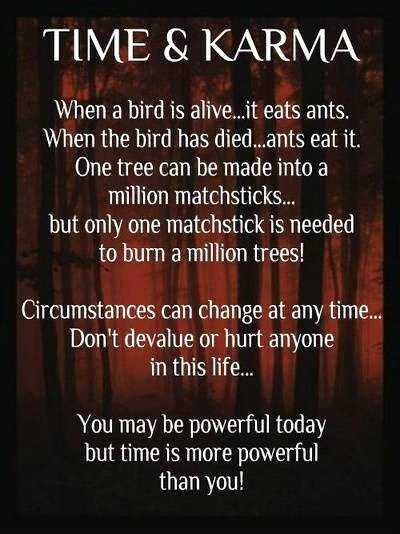 Visit Uplifting Quotes. When someone hurts you sry a river, build a bridge and get over it. Take my hand, and we’ll make it, I swear. The enemy is not fighting you because you’re weak. He’s fighting you because you’re strong. Dont be afraid to move on and start a new chapter. MOVE ON. It’s just a chapterin the past. But don’t close the book, just turn the page. Sometimes you just have to erase the messages, delete the numbers and move on. You don’t have to forget who that person was to you; only accept that they aren’t that person anymore. Forget to what hurt you, but never forget what it taught you. -Letting Society tell you hoe to live. -Replying on others to make you happy. -Turning off gadgets and go outside. -Make everything you want happen. 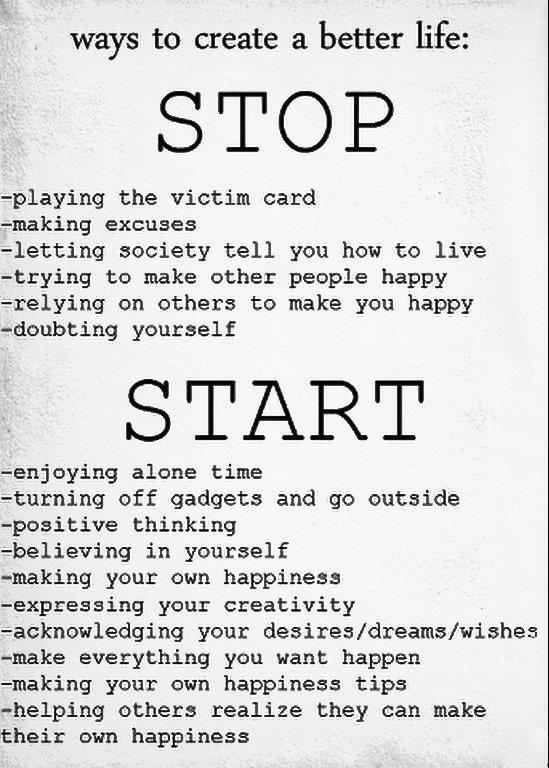 -Making your own happiness tips. -Helping others realize they can make their own happiness. 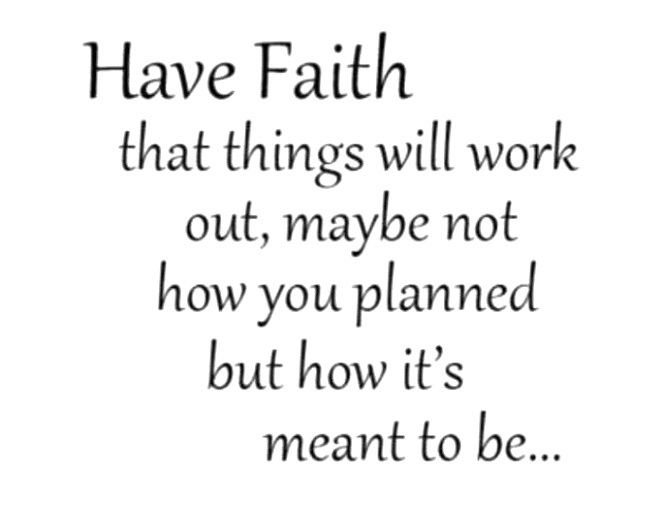 Have faith that things will work out, maybe not how you planned but how it’s meant to be. 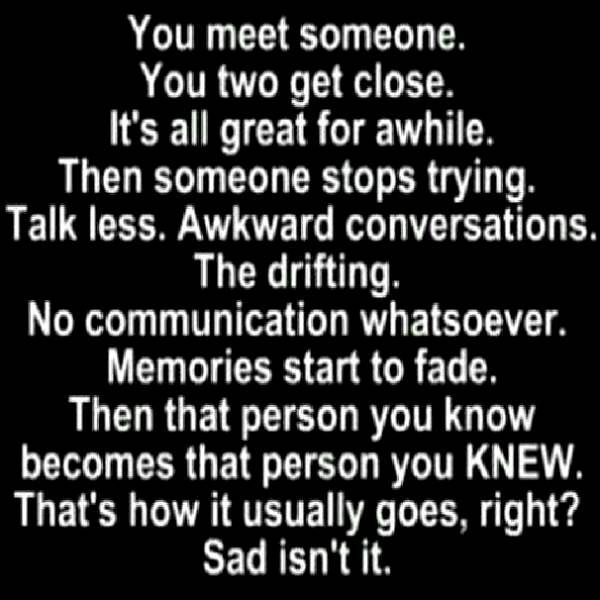 You meet someone. You two get close. It’s all great for awhile. Then someone stops trying. Talk less. Awkward conversations. The drifting. No communication whatsoever. Memories start to fade. When a brid is alive…it eats ants. to burn a million tree. Goodbyes hurt more than anything. 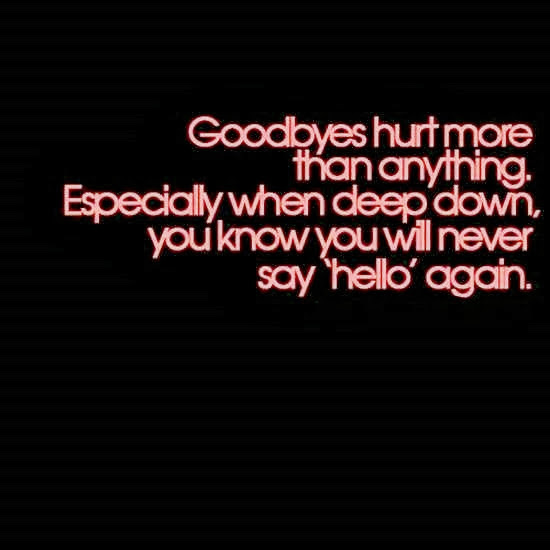 Especially when deep down youknow you will never say ‘hello’ again. 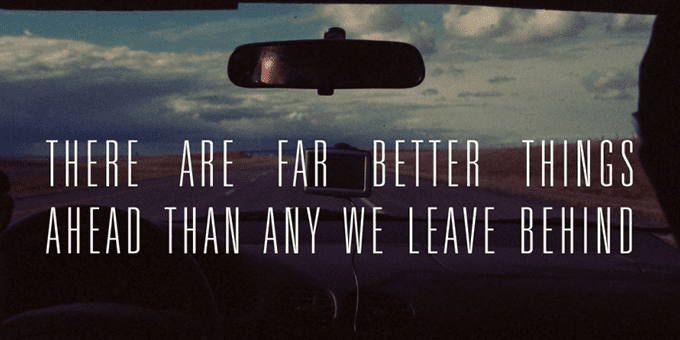 We hope this article on Motivated Moving On Quotes is being like and loved by you all. Please do not forget to share this article on social networking sites such as facebook, whatsapp, hike, bbm, wechat, instagram, line, viber, pinterest, stumble upon, twitter etc. Do provide us with your comments below the article in the comment box Stay connected with us to get more updates on every kind of Quotes.